The value of product design data extends beyond its traditional use by product development organizations to nearly every aspect of the manufacturing enterprise. While effectively managing this data as part of product development through product data management (PDM) solutions carries many proven benefits, distributing product data to other departments and leveraging its inherent value for other requirements advances data management in ways that increase its effectiveness, boost organizational efficiency, foster collaboration, inspire innovation, and improve enterprise mobility. Now known as distributed data management (DDM), these innovative solutions build upon a manufacturer’s investment in the creation of product design data to distribute its utility enterprise-wide, resulting in productivity gains, reduced costs, and increased competitiveness. 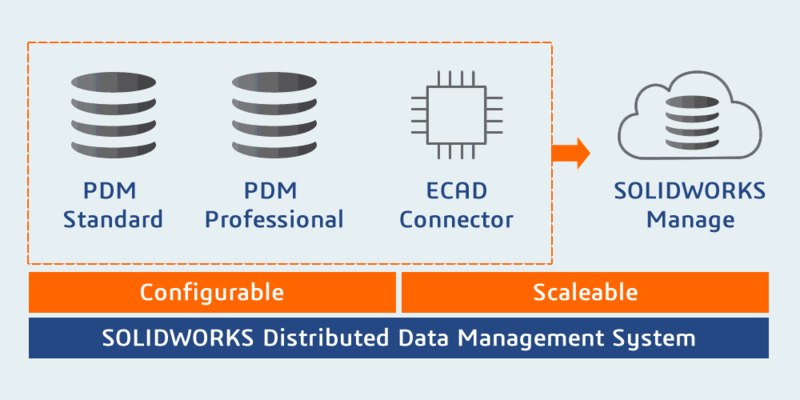 Fill out the form to download our white paper to learn how SOLIDWORKS DDM solutions—including PDM, advanced data management, and powerful search applications—can now distribute product design data in ways that match or exceed the capabilities of expensive PLM systems, at a fraction of the cost.